The listening line has been receiving more calls this week with several seniors asking for information about upcoming events in the Irish community. Information was provided about the Boston Irish Festival, which was held at the Irish Cultural Center in Canton over the weekend. Perhaps you saw our ad in the Festival program! 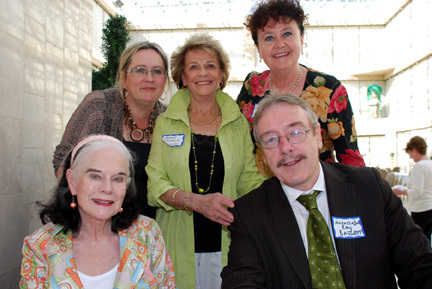 The Irish Senior Connect listening line, located at the Irish Pastoral Centre in Dorchester, is a completely confidential service for Irish and Irish American seniors to call and have a chat, or share their feelings or concerns. Our trained volunteers are here to listen, and to provide support and empathy. This week, volunteers have begun mailing and dropping off brochures at various elder professional service organizations to reach out to those who may be ill, or homebound. We hope that you will have a chance to read our program information, and that you will feel free to pick up the phone and call to say hello, or let us hear about how your day is going. We can also provide referral to area services or events at your request. If you would like us to send out a brochure and letter describing our service for your own information or for someone you think we could be helpful to, please contact us at 855-249-5146, or send an email to seniorconnect@ciic-usa.org. You can also find information about our service and access to an online brochure at www.ciic-usa.org. Have a great week, and don’t forget to make the Senior Connection!